Find the right tour for you through Pisang. We've got 65 tours going to Pisang, starting from just 8 days in length, and the longest tour is 31 days. The most popular month to go is May, which has the most number of tour departures. "“Insanely beautiful trek and very well organised company. Our guide Bimal was terrific...."
"People in Nepal Social were very kind and helpful. 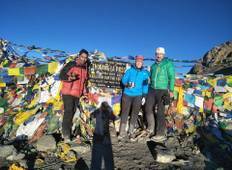 They arranged a very good trek..."
"With my two colleagues i was travelling to Nepal and together we planned to do the..."
"Thanks Man!! You were too good Ajay." "Big THANK YOU to Arjun and his team who made our stay in Nepal unforgettable. 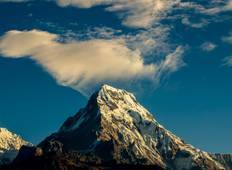 If..."
"Trekking in Nepal is one of the most wonderful activities. The Annapurna circuit..."